BookFlix is rolling out new features, including improved search interface, highlighted Spanish content, variable speed Read-Alongs, new fox and owl characters, additional titles, and a new, user-friendly redesign. Digitalia is excited to introduce its new Comics Plus catalog of thousands of digital comic books for every age range. Califa members will receive 10% off the list price, plus an additional 10% off through December 31, 2018. Infobase is offering Califa members an open trial for all of its resources through December 15. Koios specializes in affordable search engine marketing for libraries. Through December 31, Koios is offering Califa members an early adopter discount. Contact Bill Mott for details. McGraw Hill is extending the following offers to Califa member libraries for new subscriptions signed prior to December 31, 2018: 15% off a one-year subscription to AccessScience, 30% off any subscription to the McGraw-Hill e-book library, and 50% off any perpetual access purchase for the McGraw Hill e-book library. P.V. Supa is offering a 3-month try-and-buy opportunity of their RFID Intelligent Shelves for libraries. For the cost of shipping and set up, California libraries can try one of Europe's hottest, most in-demand products: RFID Intelligent Shelves. 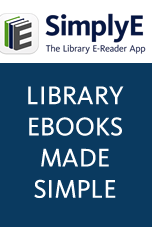 Every time a patron returns an item to the shelf, it sends the information directly to the library system and registers the material as returned. No more queues, no more waiting in line. For all materials that are returned to the Intelligent Shelf, security is automatically switched on, and the materials are instantly available to the next customer. The Intelligent Shelves dramatically decrease the workload of library personnel and increase turnaround times on returned materials.For more information or to request a Try and Buy Opportunity, please contact Katie DuPraw . Zoobean has a new mobile app, and is offering Califa members a 20% discount through December 31, 2018, and 15% beginning January 1.